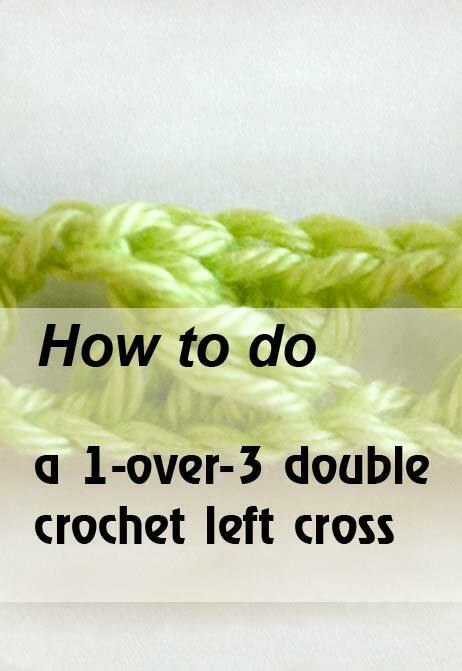 Learn how to crochet a 1-over-3 double crochet left cross with these helpful instructions. At the scheme below you can see a stitches of 1-over-3 double crochet left cross. Skip the first five chains from the hook. Insert your hook in the sixth chain of the previous row and work one double crochet. 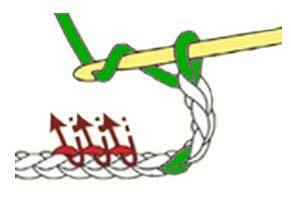 Insert your hook in the seventh chain and work the second double crochet. 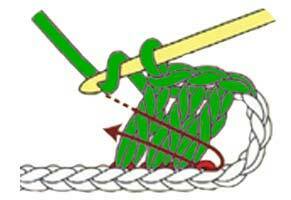 Insert your hook in the eighth chain and work the third double crochet. Yarn over and insert your hook in the fifth chain of the previous row under the back loop. Work the fourth double crochet. 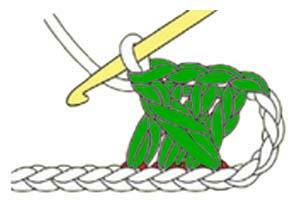 The fourth double crochet stitch appears above three double crochet stitches.